The F34 is a large multi-purpose face brush from our Dimensions Series. Handmade from extra soft, high quality anti-bacterial, easy to clean synthetic fibres, this brush is also vegan friendly. 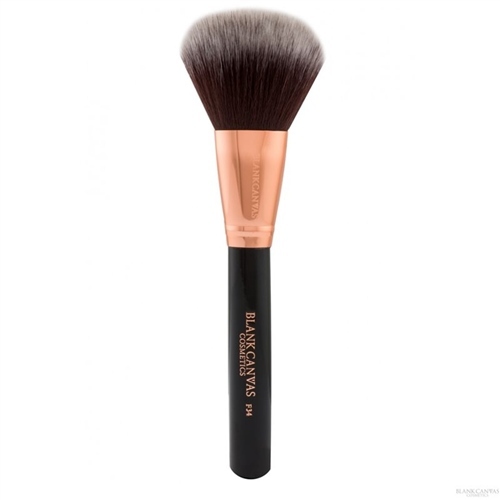 This brush is made from fluffy, high quality fibres, a sleek rose gold ferrule and black handle. The F34's large, fluffy, round shaped fibres make it the perfect tool for applying bronzer or powder to large areas. This brush is best used with powder products.